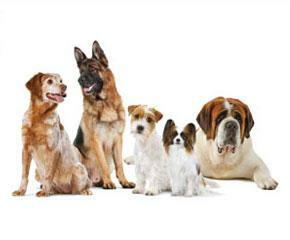 At Royal Canin, we understand that one of the great things about the domestic dog is how truly diverse the species is. We can choose from the very smallest of dogs, less than 10cm tall and weighing in at under 1kg, to the giants of the dog world, towering at more than a metre in height and weighing 100kg or more. Size differences between dogs are evident from the very start of their lives. Small dogs tend to grow very quickly (10 months or less) and during this short time they may multiply their birth weight by around 20 times. Their nutrition must be concentrated in energy to fuel this rapid rate of growth. Medium dogs can take a little longer (up to 12 months) to reach adult size and need a diet adapted to support their growth but avoid excessive weight gain. On the other hand, large dogs tend to have a more prolonged and sustained period of growth (around 15 months), developing much more slowly. Energy provision must be controlled to avoid too rapid a growth rate, which could place excessive strain on the immature skeleton. Likewise, giant dogs have a very delicate growth period and may take up to 2 years to reach adulthood, often multiplying their birth weight by 100 times. So nutrition must be tailored to each phase of growth to help support optimum and healthy growth. As fully-grown adults, the differences between our canine companions of varying sizes continue. Energy needs differ, for example, with smaller dogs needing nearly twice the calories per kilogram of bodyweight than large dogs to maintain them – no surprise when you consider how much harder they have to work to cover the same distance. We also need to consider how overall size can affect digestive physiology. Did you know that a small dog’s entire digestive tract represents 7% of their total bodyweight while in a giant dog it is just 2.7%? So a giant dog is more prone to digestive overload and needs smaller, more concentrated meals. As dogs age we see differences too. Unfortunately, larger dogs start to age much earlier and have a shorter life expectancy – around 8 years for giant dogs compared to around 14 years for small dogs. So nutrition must be adapted to account for the changes of ageing at the right time, helping each dog to grow older gracefully. We can look at the different health sensitivities which may be more evident in certain sizes of dogs too and help to support these areas through nutrition. For example, mobility is more of a concern in larger dogs so they benefit from nutrition adapted to support the joints. Finally, formulating canine nutrition tailored specifically to size enables us to design a kibble size, shape and texture perfectly adapted to jaw size, so that every dog has a kibble that they will really enjoy getting their teeth into. So whether your dog is a pint-sized pooch, gentle giant or somewhere in between, our Size Health Nutrition range offers you nutrition tailored to their specific needs to help bring out their best.